Wednesday! Take a mid-week break and check out some of the great work that my talented customers have been up to! 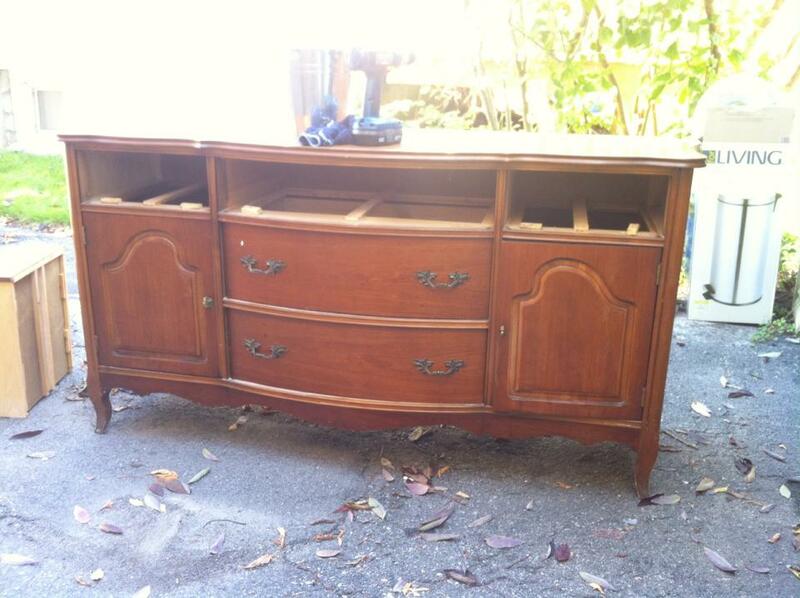 This sweet looking hutch had great lines but not so great colour . . . enter Courtney, some van Gogh 'Patina' and natural beeswax . . . now this hutch is perfect! I love how the soft colour helps showcase all of her beautiful white dish ware. This looks stunning Courtney! 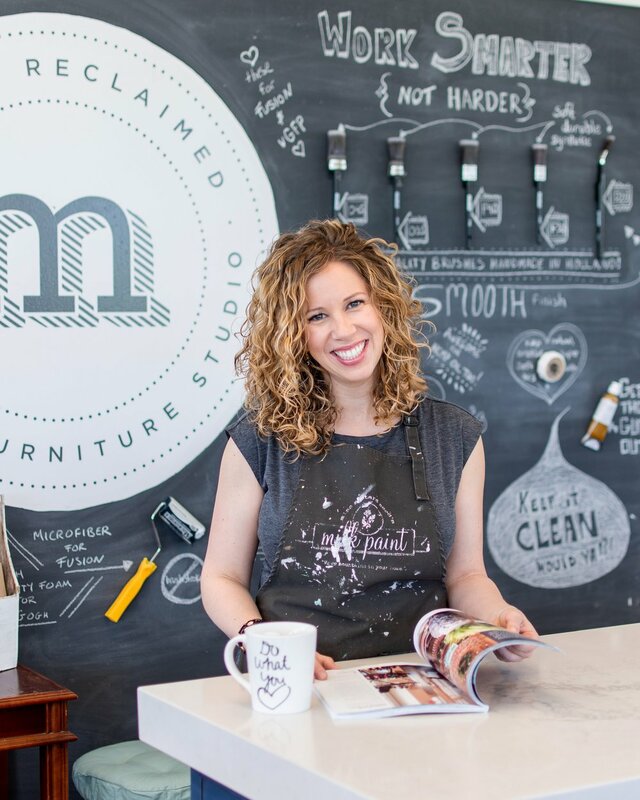 Courtney also restyled this adorable demi-lune table that she got from her grandmother. It looks so much better now that it has been restyled in 'Cashmere' and 'Morning Mist'! Lina sent in her pictures of a cupboard that she restyled - this was her first ever project and I think it turned out beautiful! Mary has been playing with our new Fusion paint line . . . and loves it! 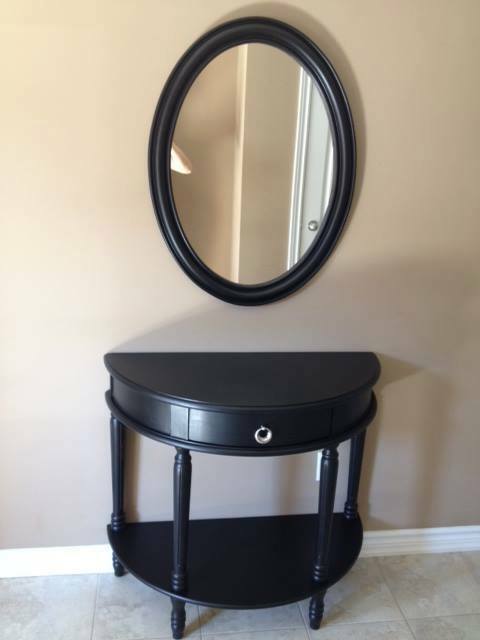 After tackling this console table and mirror, she came back for more paint so that she could restyle her entire bedroom set! Can't wait to see the pictures of that! Thanks for sharing Mary! 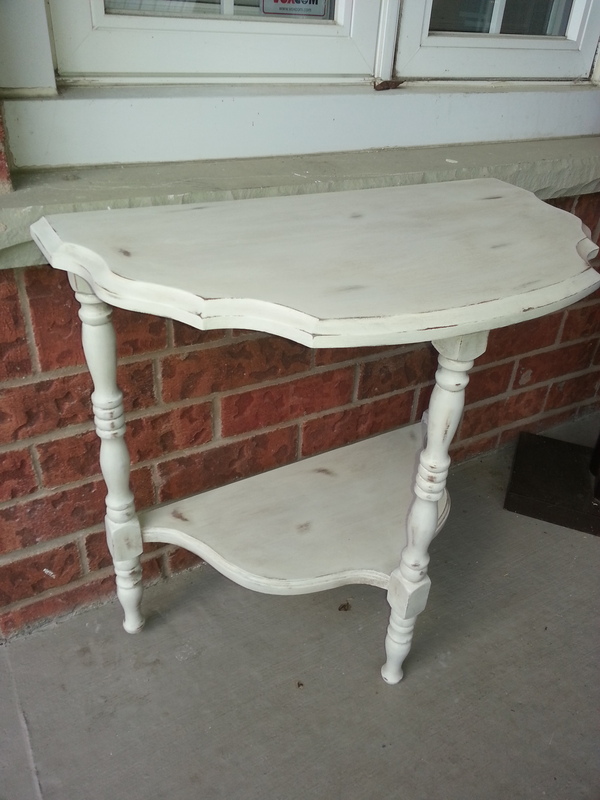 Tonya did a number on this sideboard - it doesn't even look like the same piece! 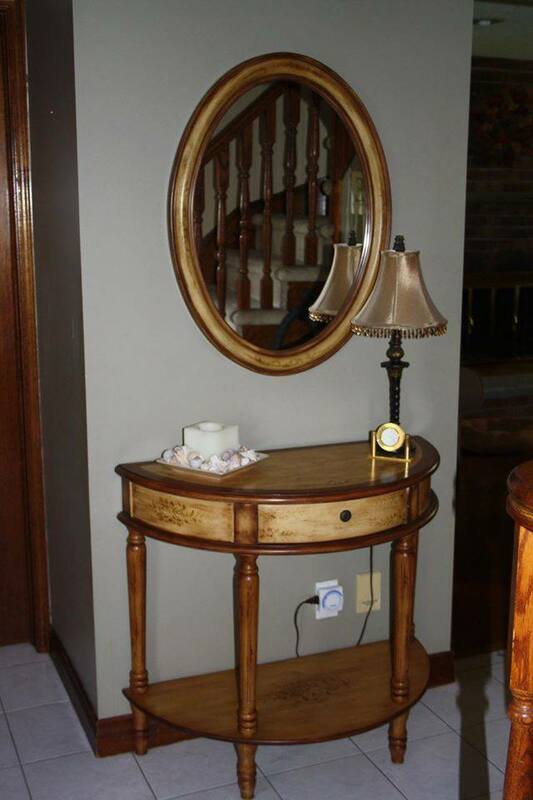 What was once wooden and dated looking is now a rich and elegant showpiece in her living room. Beautiful work Tonya!